Fresh & Processed Meat, Seafood & Poultry - AWG has a complete selection with over 2,000 items. 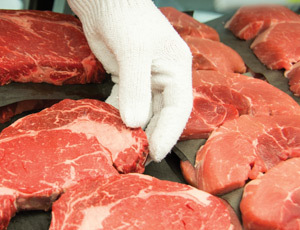 Truckload meat purchases allow us to secure the lowest price levels available. Anchored by our “Clip the Competition” program, running 52 weeks of the year, AWG offers deep discounted deals on processed and frozen meat. There are also 18 strategic events which offer aggressive promotions in 2 week increments for fresh meat, seafood and processed items. Holidays are supported with the best in market pricing on key items. Beef, pork, lamb, and veal offerings include branded programs and commodity items in all grades along with case-ready programs. Poultry offerings include chicken and turkey branded programs in case-ready or commodity bulk items. Fresh and frozen product is available. Whole frozen turkeys are available in major brands led by the Best Choice Grade A Turkey. 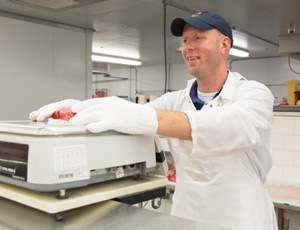 AWG offers a wide variety in fresh and frozen seafood. Our programs are designed for full service departments to case-ready self-service cases. A full line of bag shrimp is available in the Best Choice label. AWG offers over 100 meat items in store brands under the Best Choice, Always Save and IGA labels.